Similar to sending email to your customers, BMO Online Inventory Malaysia allows you to send SMS to your existing contacts or prospects in your contact list using integrated bulk SMS service. Convenient, saves time and you do not have to go through the hassle of using another bulk sms application. In this tutorial, we will guide you on how to send SMS to contact or prospects. 2. You will be redirected to a Contact List page. 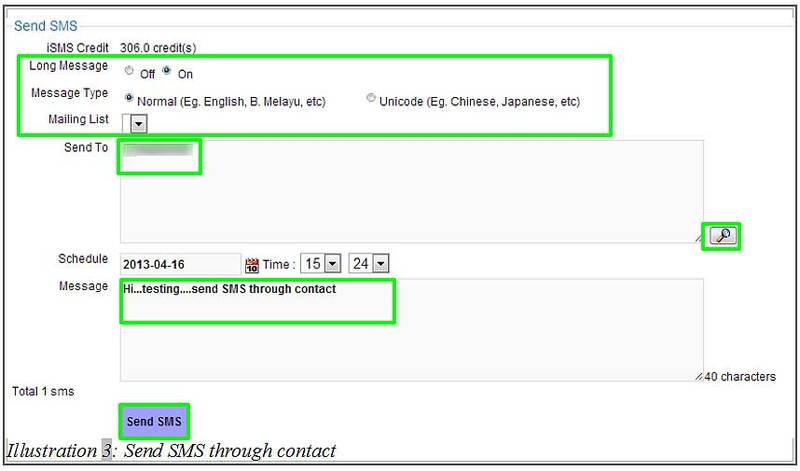 From here, click on SMS as highlighted below to send SMS to your contact. 3. 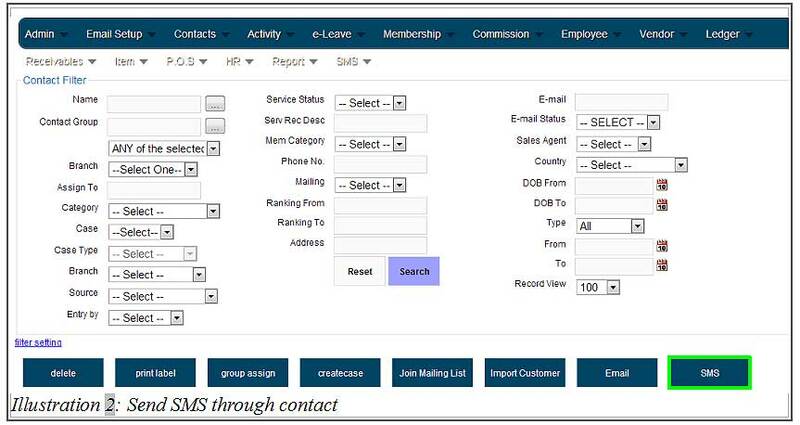 Fill in all the details including the contact person’s mobile phone number and message. You could select the contact number from your contact list by clicking on the Search Icon provided. Click on Send SMS to send the message. 4. A notification message will appear to inform you that the SMS has been scheduled and will be sent based on the scheduled time. 5. 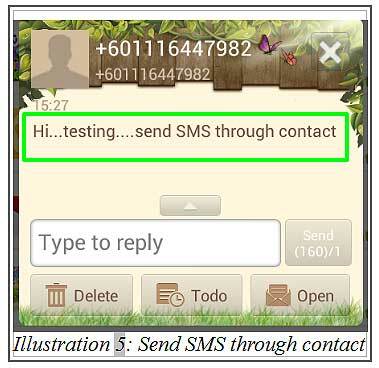 The recipient will notice that a message is received in his/her mobile phone.